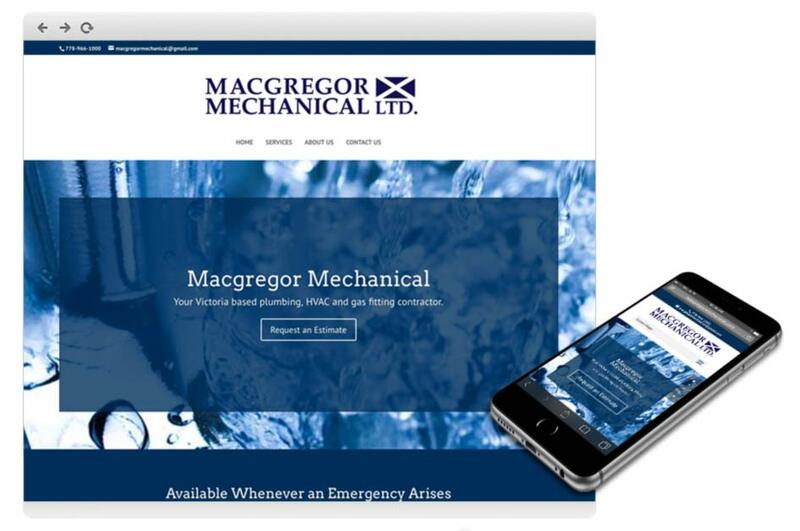 We, at Dyggz, were happy to design, write and build Macgregor Mechanical a website that would expose their services to new prospective clients. The website makes it easy for clients get in touch right away with the “Request an Estimate” button or to learn more about the business. The website layout is professional and allows for seamless navigation on computers, tablets and mobile devices. There is a lot of competition in Victoria BC, but it is no doubt that Macgregor Mechanical Ltd.’s marketing decisions are putting their small business on the map.